As it turns out, unreported retirement distributions are just another version of the 1099 Mismatch. When you take money out of a retirement plan, such as a 401k or IRA, you receive a 1099-R reporting it. You must report the 1099-R information on your tax return, even when the retirement distribution is tax-exempt. There are several reasons why this might not happen. The IRS says you should have your 1099-R by February 14. But many taxpayers report that they never receive a 1099-R. The most likely reason for this is that they’ve elected for their retirement account to be paperless and their 1099-R was online, waiting to be printed. Many taxpayers don’t realize that they’re expecting a 1099-R, so they forget to check for it. Frequently, they believe that their distribution was tax free and doesn’t need to be reported, or they forget that they had a distribution. Rollovers must be reported. You’ll get a 1099-R even if you rolled over one retirement account to another. You need to report that! ROTH IRAs must be reported. You’ll get a 1099-R when you withdraw money from your ROTH IRA. Taxpayers frequently make the error of assuming that since their withdrawal from their ROTH is tax free, there’s nothing to report. But there is! You must report to the IRS what your contributions have been to the ROTH so that it knows whether or not the distribution is taxable. 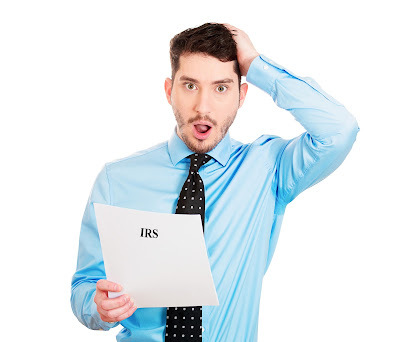 If you don’t report that information on your tax return, the IRS will assume it’s all taxable. Penalty exceptions must be reported. When you withdraw money early from a traditional (pre-tax) retirement account, you have to pay ordinary income tax on the distribution and there’s also a 10% penalty for early withdrawals. There are various exemptions to the 10% penalty and taxpayers frequently assume that if they qualify for an exemption, they’re also exempt from the tax. This is not true. The exemption only applies to the 10% penalty. Furthermore, if you don’t include this information on your tax return, the IRS has no reason to know that you qualify for an exemption and will assume that you do not. Early distributions from retirement accounts can be costly – but forgetting about the 1099-R makes them costlier. Just remember – almost every interaction you have with your retirement account has an impact on your tax return, whether it’s a contribution, distribution, or rollover. Make sure you understand what the impact is and that you’re reporting it correctly. Coming up next: Mistake #4 - Do you know where your depreciation is?